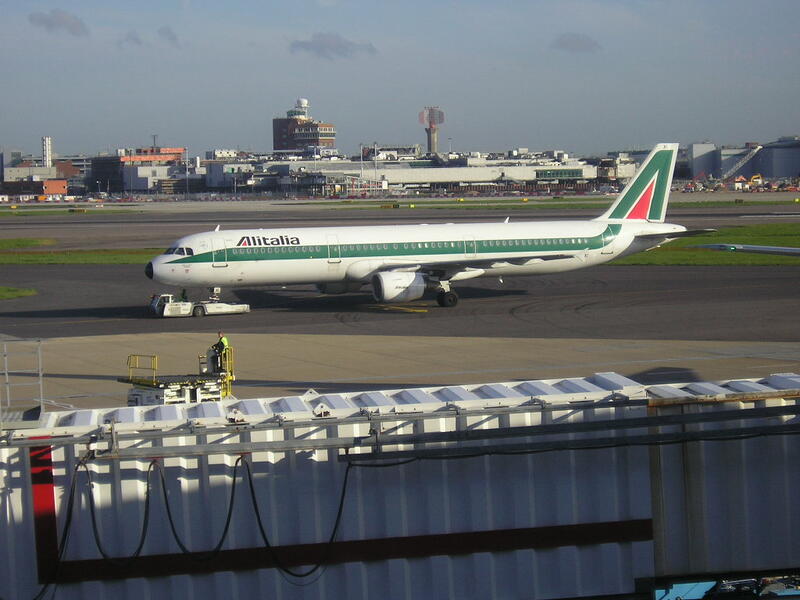 Alitalia today officially announced that it will be embarking on a new long term corporate plan designed to help it achieve an "operating profit in 2014" and a "net profit from 2016" onwards as the carrier looks at identifying ways to help it achieve these set goals. FCO/ICN - 120,000...Sky Team hub to hub service should do well. What will happen here is that KE operates 3 weekly B744s on this route, so I expect AZ to operate the remaining 4 days a week using a B777 ! 1. JNB is not a Sky Team hub and exceptionally low yielding. The market size demand level is not high enough to even warrant a 3 weekly A332 nonstop service. It is best code sharing via CDG on AF to South Africa. Plus FCO-JNB is a long haul flight averaging 10 hours in flying time + in order to ensure good connections via FCO in both directions to Europe, the aircraft would also have a long ground time at JNB airport thus the aircraft utilization mixed with the low yield market characteristics of this route does not make it viable. 2. NBO maybe a Sky Team hub which can in turn result in KQ feeding it with pax bound to Central/East/South Africa via its hub but if an airline such as KQ could not itself make FCO work on its own over the past few years coupled with the fact that the O&D demand between Italy and Kenya is very low + what is even lower would be the 6th freedom transfer traffic between EU/UK/USA and NBO. Another issue with FCO-NBO is that since its a 7 hour flight, it cannot be operated with AZ's A320/A321 fleet in order to reduce costs hence only a B767 or an A332 needs to be utilized and unfortunately both these aircraft are too big to service this route and too expensive to justify a daily or even 4 weekly service ! 3. SCL is a One World hub and not Sky Team. 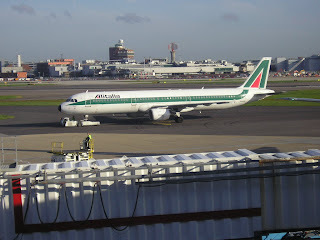 The flying time from FCO would be approximately 11:45 hours to service a market segment of 21,000 pax? In addition, transfer traffic volume potential via FCO to Eastern/Central Europe is also not that high. Once again, the return on investment on utilizing an expensive B777 on this sector is unjustified. a) FCO/PEK - market size 101,000 + another 80,000 bound to other parts of Italy + huge feeder traffic potential available via FCO to Europe and North Africa. Good mix of high yielding business class and leisure/VFR traffic to be obtained here. Currently, only Air China operates this route nonstop on a daily basis using an A332 with a flying time of 10 hours 15 minutes which means for AZ a daily A 332 is perfectly well suited too. In case anyone is wondering why I'm not advocating CAN-FCO as its a Sky Team hub of CZ, its due to the O&D market size between FCO and CAN being only 9,000 pax over the past year ! b) MXP/HKG - this market segment is very high yielding and has exploded in terms of demand levels since Cathay Pacific launched its services here 2 years ago. Market size is 102,000 and the O&D yield here is 35% higher than FCO/HKG ! Kindly note that before CX launched daily MXP-HKG services using a B77W, the annual market size demand on this route was only 38,000 pax which means over the past 2 years, it has grown by over 200% primarily due to CX creating this market stimulation ! For MXP-HKG, I would propose a daily B777-200ER operated service as it has a larger J class cabin (30 vs 20 on A332) and can carry more cargo in the belly. In addition to the O&D demand, it can carry transfer traffic via code share or on its own operated service to Europe out of MXP. Now with regards to the 6 additional aircraft, if my 3 route recommendations were taken into account, it would have to be B772ERs only but from the original AZ plan it looks like it would be possibly an equal split of 3 A332s + 3 B777s !